The department announced this week that it reached its goal thanks to a $100,000 matching grant from Quad/Graphics, which was presented by Quad/Graphics Chairman, President and CEO Joel Quadracci during Cal Poly’s annual International Graphic Communication Week celebration held Jan. 23 at the Madonna Inn in San Luis Obispo. The initial $100,000 raised for the endowment came from family and friends of Eric Steinbach, Quad employees; Cal Poly alumni, faculty and staff; and corporations and investment funds. 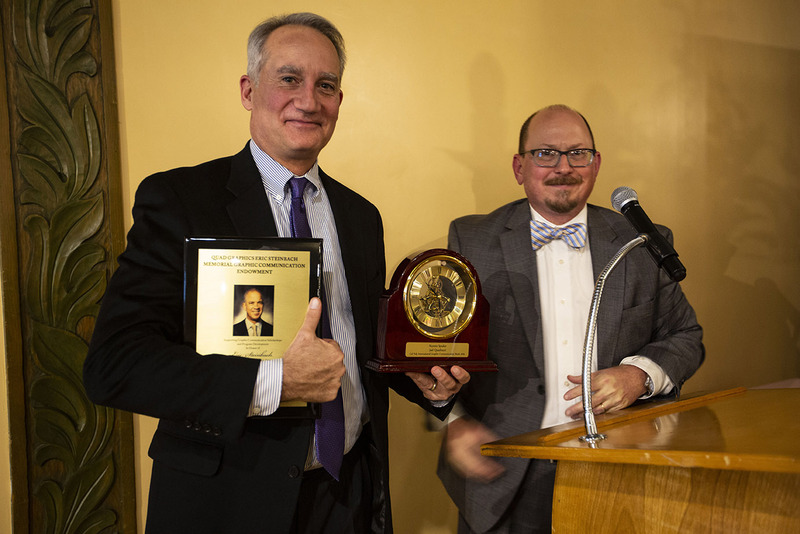 Macro.jpg — Graphic Communication Department Chair Ken Macro, at right, presents a token of appreciation to 2019 Cal Poly Graphic Communication banquet keynote speaker Joel Quadracci. 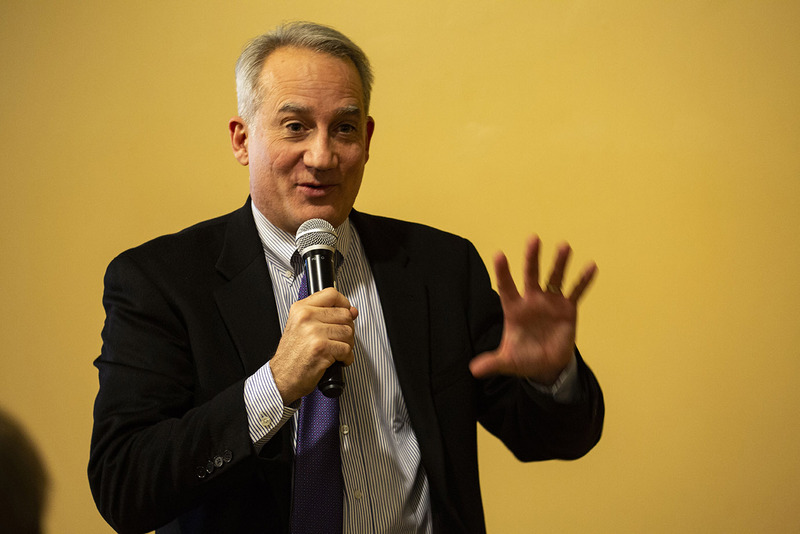 Quadracci.jpg — Quad/Graphics Chairman, President and CEO Joel Quadracci speaks at the 2019 Cal Poly Graphic Communication banquet. 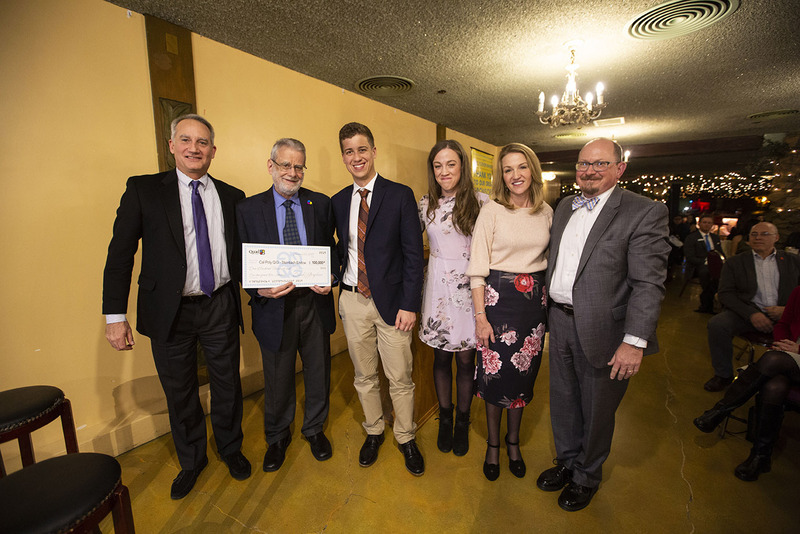 Family.jpg — Joel Quadracci and the Steinbach family present a matching contribution of $100,000 to the Graphic Communication Department’s Quad/Graphics Eric Steinbach Memorial Graphic Communication Endowment. Note: Higher-resolution images available upon request.